Putting one foot in front of the other is something we all do naturally. In its repetitive form it is,of course, called walking.Since times long gone we as a race have been able to walk upright and indeed our mobility and ability to explore has played a big part in our success as a species. A walker can explore,climb,discover,move to new places, etc. Being a natural way to displace yourself, in poorer countries where transport is scarce and expensive, people walk to work,to school, to the shops,to sell their wares,etc, And this many years ago, when I first came to Spain, was still fairly evident in rural Spain. It was common to see people walking, to the fields,along the roads and so on. It was an integral part of everyday life. And if you talk to the older generation they will tell you many a good story about how they used to walk. My father in law says as a young man he used to walk 14 kms to visit his girlfriend (his wife now) just wearing “alpargatas”(ropedsoled canvas shoes) and then walk back through the countryside 14kms in the dark to his own town. He also used to move his sheep 60 km to higher pastures and think nothing of it. 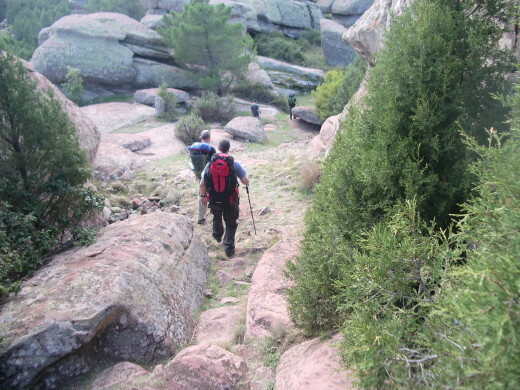 Walking in Spain used to be part of everyday life whereas today it is not. For example, my wife Julia,says as kids in the ’60s they used to walk with their grandmother from her house in the country to Cehegin 4kms to visit family and buy supplies from the shops and then walk back.She also collected water walking twenty minutes to the well with the donkey and back. And within her own lifetime this is unthinkable for our kids’ generation. Whilst on trekking trips with friends round Spain we have often met wise looking old men in mountain villages who when they see us walking the path to the next town tell you stories such as how as youngsters they took cattle to the market in that town and returned in the same day..a 50km round trip! Or the hotel owner in Cuenca who asked us where we were walking to and proudly explained that as a young man he used to go to the market in Cuenca and walk and even run part of the the 60kms over the mountains by moonlight in the 1950s just so he could see his girlfriend and buy basic supplies. 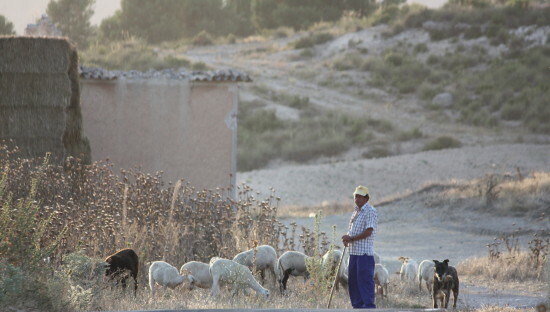 And as described in one of our previous posts: http://tinyurl.com/b3nhag3 shepherds in many parts of Spain used to(and some still carry on this tradition) move their sheep hundreds of kilometres,walking all the way. It was also typical to walk long distances to neighbouring towns to have fun at their fiestas.In fact, it was actively encouraged as a good way to find a partner from other villages and towns( supposedly helping to avoid ‘interbreeding’ problems). 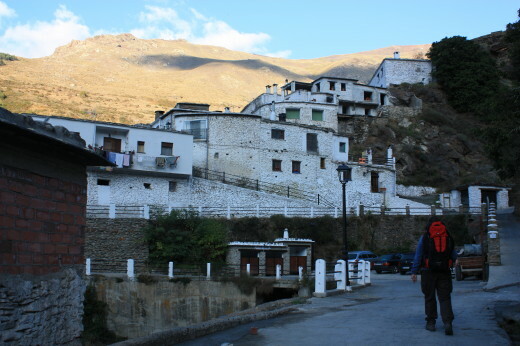 If you have read Gerald Brenan’s “South of Granada” you might remember he walked from Granada to Yegen overnight( 20 hours from memory) over the Sierra Nevada and he often described how the villagers thought nothing of walking to villages 15/20 kms away. 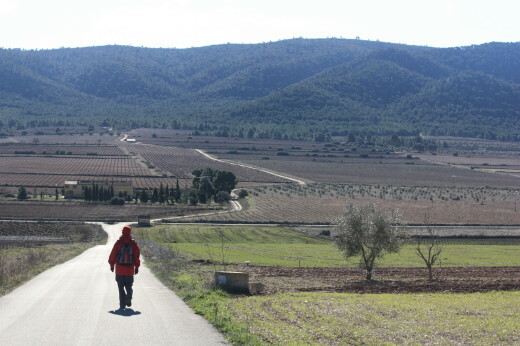 I am a firm believer that walking the countryside is a great way to see it ,experience its culture,gastronomy and people. It is with good reason that Brenan was so enthusiastic about walking. And no small coincidence that two of the best books about Spain were also written by ‘walking authors’ J.S.Pritchett and Laurie Lee. In those days, the few roads that existed were terrible and many villages were cut off from the modern world until well into the 1980s. Pritchett in the 19th century and Lee in the 1930s saw a close up and real Spain compared to many writers who travelled by motor car and stayed in nice hotels. Life was slower. Now everyone has transport and walking has become a pastime.There are still shepherds who daily walk with their sheep but even some of them out of necessity use quads or 4x4s.Logically that rural scene of a shepherd asleep in the shade of a tree or a farmer returning from the fields with his horse in the evening light is now harder to see. We no longer walk any significant distance out of necessity; so we walk for fun,for charity, and to get to unaccessible places. I was fortunate some 18 years ago to walk up the vertigo-inducing path to the last village in Spain that couldnt be reached by road. It could only be reached by the track I climbed with my 10 year old son which was the traditional width of a mule and a man walking by its side. The village was called Bulnes which today can be reached by a large cable car and is visited by thousands of tourists every year. I wont be going back to Bulnes. It would ruin that amazing image and magical feeling I had when we walked into the village on arriving after our exhilariting climb….a village untouched by mechanised transport. A magical peacefulness that is very hard to find nowadays. This entry was posted in Spain, Uncategorized and tagged cultural holidays, Fiestas, Food and wine tours Spain, gastronomy, history, mountains, pueblo, Spain, spanish culture, Traditions, Travel, walking by Paddy Waller. Bookmark the permalink. I agree! I love to walk. Lanzarote was where I first got a taste for it – up and down volcanes and barrancos. I’ve already started walking here in Almería, since the move… but should get out more. As an aside… if Alan is away, I have a 90 minute walk to the nearest shops. and a half hour walk to the fuente. No buses! Thankfully I have friends who would help if I asked. Another great read – thanks! Thanks Matthew.Yep would love to walk in the Canaries! That is a fabulous post. It really opens your eyes to the times before when people really did think nothing of walking long distance. With so many cars on the road today it is little wonder that some countries have obesity problems. “In its repetitive form it is,of course, called walking” – this sentence is genius. I share you’re love of walking but I get the feeling I’m an amateur compared to you. I do love it though. Walking in the city can be a beautiful thing too, but a very different experience. Thanks Robin……I am an amateur like you but just have many years of practise. I really enjoy walking in cities as well.So much to see but I do get distracted by photo taking!! We took a cruise and landed in Valencia. A few of us decided to tour the town at last moment and decided to go walking. We went and toured the city and churches. And then returned walking back to the ship. Needless to say there were two persons that did not appreciated the walk. I thought it was invigorating after being in the ship but then I love to walk. I do agree that walking has become a past-time. Even here in the cowboy states they use the ATV instead of horses. Progress I guess….TY lovely blog!. Thanks Lidia for your comments. 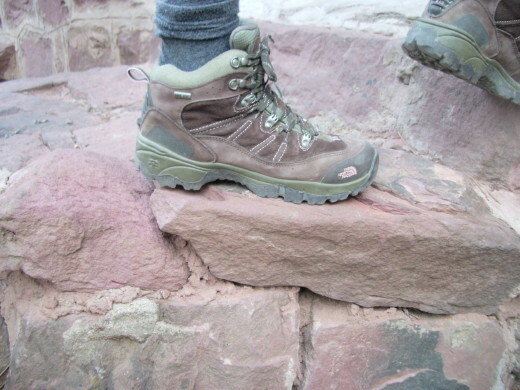 It is indeed quite a walk form the port to the centre of Valencia so good on you for doing it!Glad you like the blog. Spain – un pais para caminar! Hi Paddy, just discovered this post – had to reply. Love to walk in Spain. We were fortunate to take a month off work for our last trip. Looking at the photos – I could see the weight loss happening due to all the walking. I always see many older people walking in small villages. Eduardo thanks for your comments!